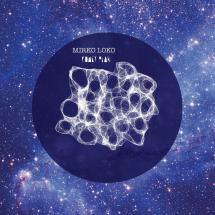 “Un voyage entre toute mes influences,” Mirko Loko shares, breaking into his mother tongue to describe the essence of his sophomore longplayer that was conceived in Berlin and later birthed in his hometown of Lausanne after a two-year gestation period. Literally translated as ‘to travel between my influences’, it’s a fitting summation of an artist whose work has respectfully mined early inspiration from Detroit and Chicago that laid the foundations of the emotion-filled productions that we know of him from today. And one thing’s for sure; he knows how to captivate: take ‘Venus’ whose trickles of melody and syncopated drum rhythms increases in intensity with each bar towards an eerie crescendo. Then there’s ‘U Special’ that builds the kind of subtle party vibes you could imagine Luciano dropping to create one of those moments to a heaving blissed out dancefloor.